The pitch diameter (also known as the effective diameter) is used to determine whether two threaded parts could be successfully mated together. Properly mated parts will demonstrate equal distance between thread flanks when in contact. Pitch diameter refers to the width of the cylinder as it intersects the midpoint of the major and minor diameters, known as the pitch line. Pitch diameters are an essential component in determining the compatibility between internally and externally threaded parts – nuts and bolts, for example – and are also used as an important frame of reference for other thread measurements. How are Pitch Diameters Measured? Pitch diameters are highly sensitive measurements and, thus, are determined using specific measuring tools. 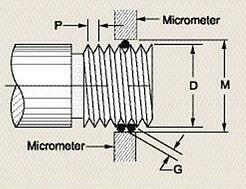 There are several techniques available for quantifying this dimension; however, dedicated micrometer screw gauges, the three wire measurement method, and optical comparators are the three most common methods for measuring pitch diameters in a variety of threaded objects. A specialized type of micrometer screw gauge – also often called a pitch mic or a thread mic – is designed specifically for measuring the diameters of cutting and thread tools and threaded parts. The most common type of thread mic consists of a V-shaped anvil and a cone-shaped spindle tip. The ratchet of the micrometer is turned until the spindle makes contact with the thread flanks, which provides the desired reading. Some thread mics also come with a centerline groove in the V-anvil for measuring pitch diameters via the single wire method. 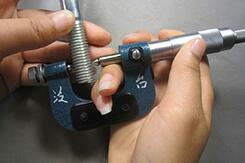 The three wire method is used to measure pitch diameters using conventional, flat anvil micrometer screw gauges. This process involves placing three wires (one wire on one side of the thread with the other two wires on the opposite side) of known diameter within the pitch of the threads. The gauge of the wire is selected so that the wires will contact the pitch line while still extending beyond the outside diameter of the thread. A regular micrometer screw gauge is then used to measure the distance between the wires on opposite sides. This value may then be inputted into prescribed formulas to obtain the pitch diameter. Optical comparators use light and the principle of optics to inspect various parts and components. A magnified silhouette of the threaded object is displayed on the screen, and a dedicated thread-measuring software is used to analyze the image and produce various measurement reports. Optical comparators are the most accurate method, but also the most expensive. C.J. 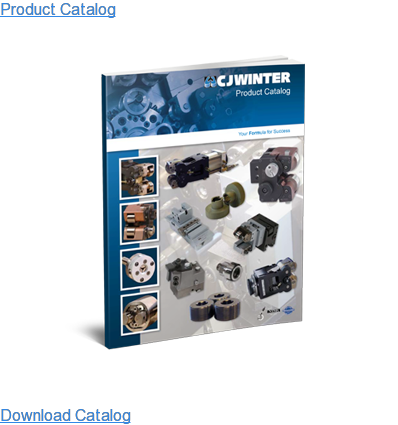 Winter is a leading provider of thread rolling attachments and threaded machine dies and tooling. 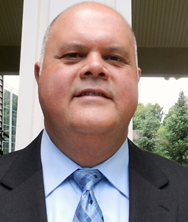 Our engineering team features a wide scope of industry knowledge and customer service that is beyond compare. 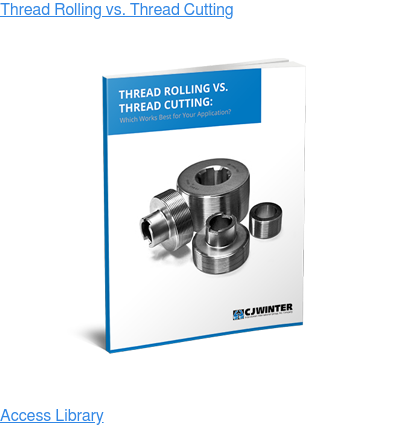 If you have questions about thread limits for your equipment, we’re happy to help. Pitch diameters, although relatively simple in concept, require special tools and proper techniques to measure accurately. Use our pitch & blank diameter calculator tool to instantly calculate your pitch diameter without the complicated math and equipment.